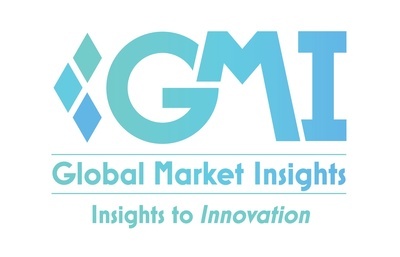 Blockchain Technology in Energy Market to Hit $3bn by 2025: Global Market Insights, Inc.
SELBYVILLE, Delaware, April 10, 2019 /PRNewswire/ -- The blockchain technology in energy market is predicted to hike from USD 200 million in 2018 to around USD 18 billion by 2025, according to a 2019 Global Market Insights, Inc. report. Rising security concerns of grids & networks on account of increasing interconnection and digitalization will drive the market growth. Ability to enhance process efficiency, flexibility, and lead time reduction have garnered the attention of power industry giants, thereby stimulating the technology demand. Moreover, increased loads from influx of electric vehicles, burgeoning number of smart appliances along with growing share of variable distributed generation in the grids will complement the blockchain technology in energy market outlook. Enhanced government emphasis toward improving energy efficiency, privacy, interoperability and cybersecurity coupled with increasing regulatory focus to implement & improve the current process will propel the Europe blockchain in energy market. In 2018, the European Commission introduced EU blockchain observatory & forum to encourage the region's cross border engagement with the technology and its various stakeholders. In addition, introduction and implementation of various programs to accelerate the deployment of the technology in the energy sector will fuel the industry growth. Blockchain technology in energy market in the private category is set to grow over 45% by 2025. Capability to provide simple governance structures, lower cost operations and faster transactions are some of the prominent features stimulating the technology growth. Increasing trend to build smart contract applications coupled with the accessibility to select the participants will enhance the business outlook. High potential of the technology to bring reliability & efficiency to the value chain of various industries including the power sector will boost the blockchain technology in energy market size. In addition, growing integration of renewable energy sources with the grid on account of achieving government renewable targets will augment the business growth. Massive convenience provided by the technology in electricity trading coupled with burgeoning investments toward the blockchain technology pilot projects globally will instigate a favorable industry scenario. Oil & gas blockchain technology in energy market is set to witness substantial growth on account of fewer cost intermediaries, limited overhead cost and reduced cash cycle times. Rising focus of various industry giants toward the adoption of technology to streamline trading in the non-digital crude oil industry along with plans to exhibit enhanced security & optimized efficiency in transactions will boost the industry landscape. Eminent participants across the blockchain technology in energy market comprises Infosys Limited, Power Ledger, Accenture, Drift, Grid Singularity, SAP, Oracle, Electron, Grid+, Greeneum, LO3 Energy, Conjoule GmbH, WePower, EnergiMine, Sun Exchange, amongst others.